Home Other Topics What is a Bill of Exchange? Drawer – is the seller or the creditor who issues the instrument and is entitled to receive the money back from the person to whom the credit is extended. Drawer signs the BOE. Acceptor or Drawee – is the purchaser or the debtor who accepts the instrument and to whom credit has been extended. Drawee is required to pay the amount back to the seller. 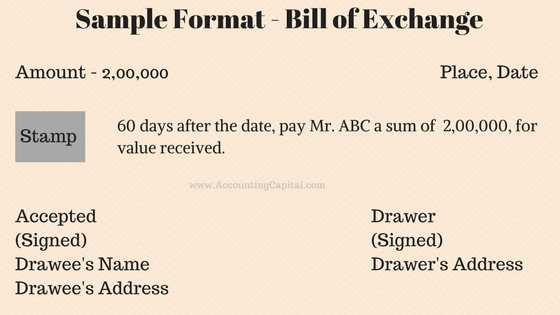 A bill of exchange is signed and accepted by the acceptor/drawee. Payee – The person to whom the amount is supposed to be paid is called a payee. The drawer himself or a third party may be made a payee. Bill of exchange is a written order. Signed both by the drawer and the acceptor. It is accepted by the drawee and doesn’t have any conditions attached. Unlike a promissory note which is only a promise, a BOE is an order of payment on a specific date. It is payable either on demand or after a fixed period.